LOCATION! LOCATION! LOCATION! 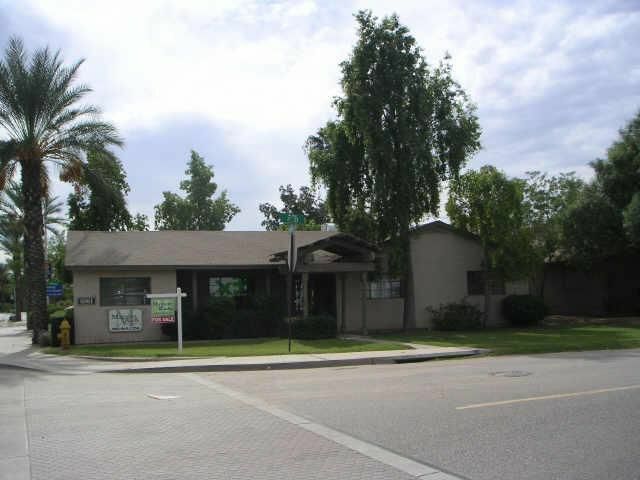 THIS PROPERTY IS LOCATED ON THE S/W CORNER OF GOLDWATER & 1ST STREET IN OLD TOWN SCOTTSDALE. JUST ACROSS THE STREET IS THE 'MAIN STREET PLAZA' AN URBAN HOUSING & RETAIL DEVELOPMENT AND TO THE WEST ONE STREET IS THE 'RESIDENCES ON MAIN' A TOLL BROTHERS URBAN HOUSING DEVELOPMENT AND ADJACENT TO THAT IS THE VALLEY HO HOTEL, A SCOTTSDALE LANDMARK. JUST TO THE NORTH IS THE NEW WATERFRONT DEVELOPMENT AND TO THE NORTH OF THAT SCOTTSDALE FASHION SQUARE.